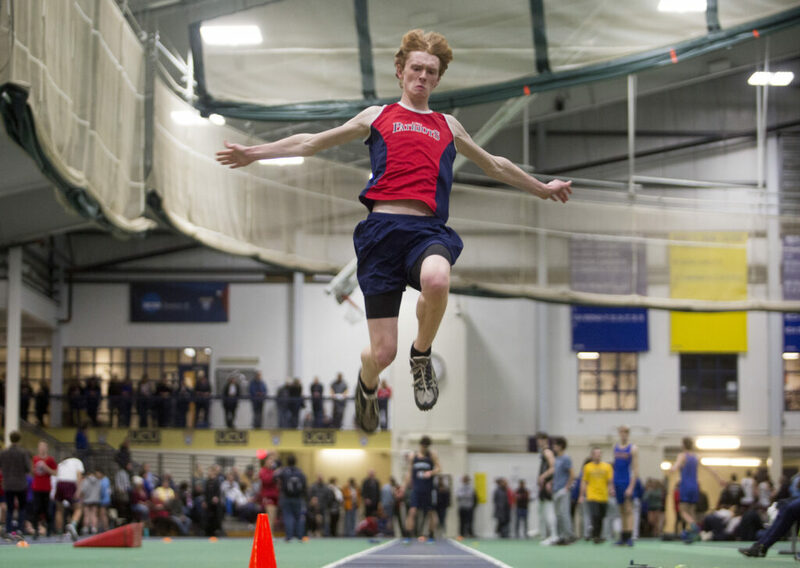 Nate Gendreau of Gray-New Gloucester competes in the long jump. 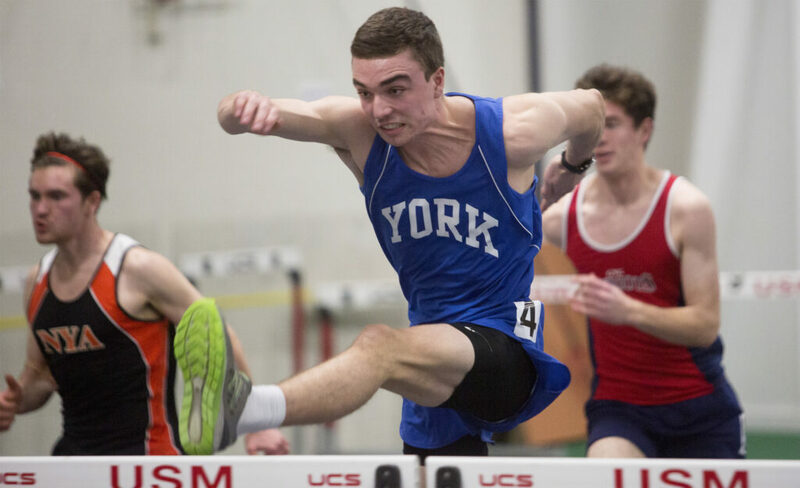 Jonathan Burke of York competes in the 55-meter urdles at the Western Maine Conference indoor track championships at the USM Field House on Friday. 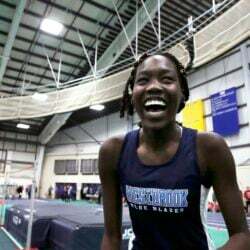 Burke won the race. 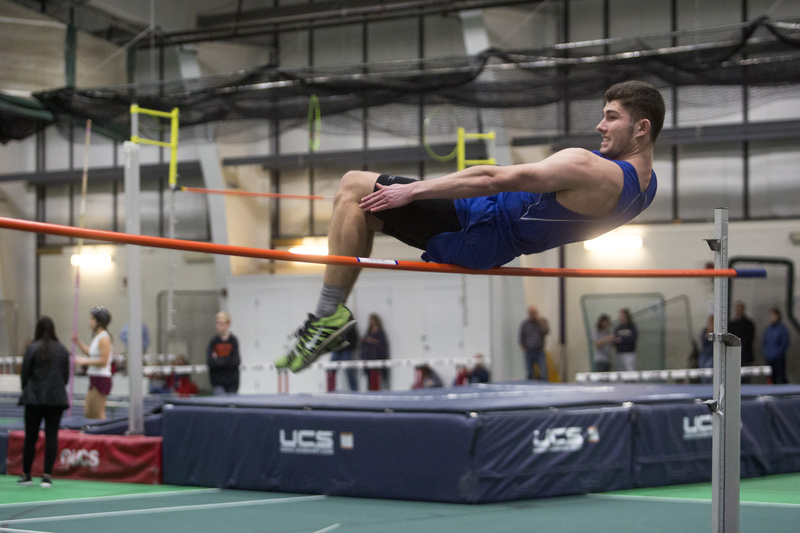 Ben Hay of York High School clears the pole in the high jump where he ended at 6 feet. 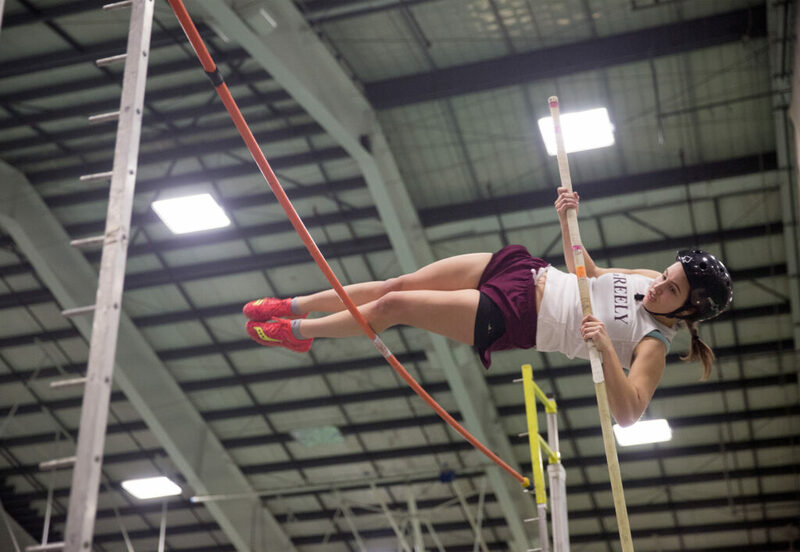 Margaret McCormick of Greely competes in the pole vault . She placed second. 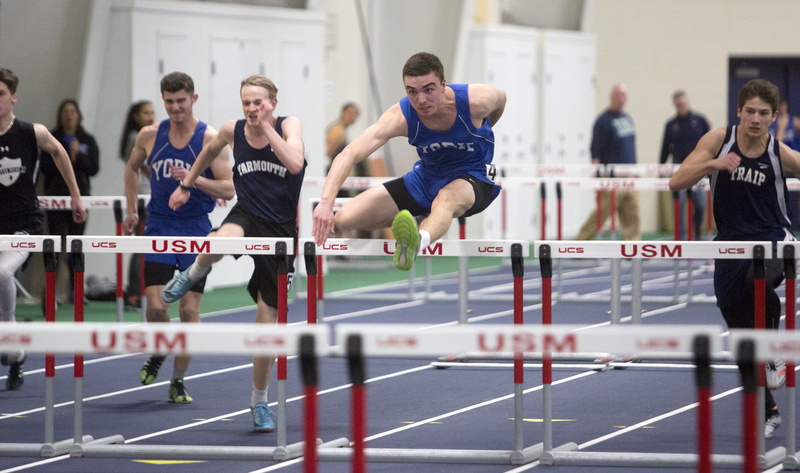 Jonathan Burke of York clears a hurdles on his way to victory in the 55-meter hurdles Friday at the Western Maine Conference championships at the University of Southern Maine. 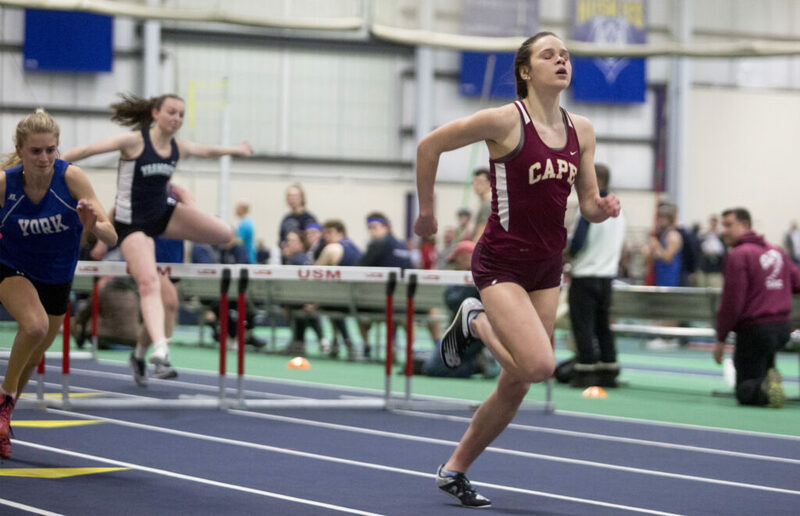 Burke finished in 8.09 seconds, helping York win the team title. Darcy Cochran of Cape Elizabeth approaches the finish line to win the 55-meter hurdles. 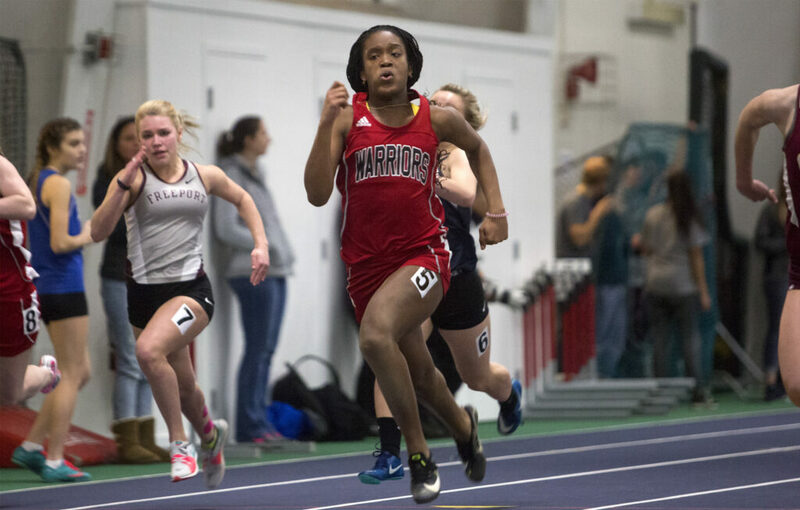 Cochran was clocked in 8.76 seconds, and was chosen as meet MVP for girls’ track events. Chenille Eccleston of Wells finished first in the 55-meter dash. 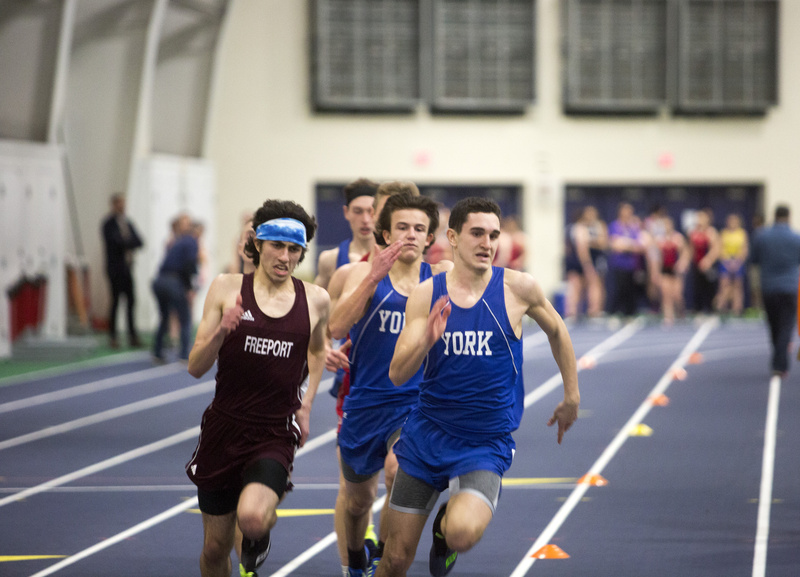 Nick Rainforth of York, front right, and Nick Mitch of Freeport, run side by side in the 400-meter dash 9. 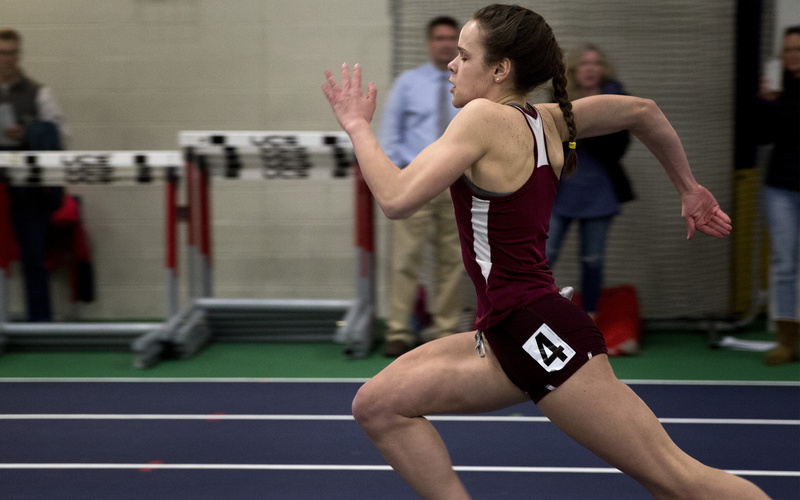 Rainforth broke away on the second lap to win.